As we begin this final weekend of April, it's time to once again take stock of the noteworthy titles leaving Netflix streaming. It's not the most painful list of deletions to come this blog's way, but some of them will sting, especially the handful of 1970s films that arrived only three months ago. Those titles, singled out here back in February, are Harold and Maude, North Dallas Forty, and Marathon Man, all of which contain the welcome grit and unpredictability that were hallmarks of 1970s cinema (and which seem so hard to come by amid today's endless sequels and remakes). Other Me Decade flicks ascending to Netflix Heaven (or is it only Limbo?) 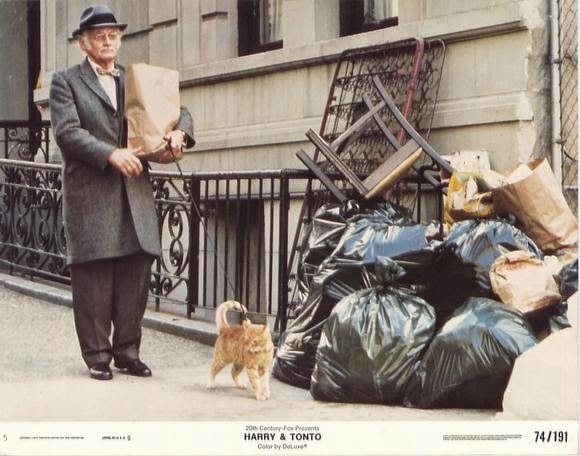 are Paul Mazursky's touching and funny Harry and Tonto, which won Oscars for Mazursky's screenplay and Art Carney's lead performance; the original, made-for-TV, Brian's Song—the first movie to introduce my younger brother and me to cry-bonding when we were kids; and tough-guy director Don Siegel's Two Mules for Sister Sara, a western starring Clint Eastwood and Shirley MacLaine. All of the above will be disappearing in the final seconds of April 30, as will a couple of bona fide classics from even further back: Preston Sturges' screwball gem, The Lady Eve (1941), and Billy Wilder's Some Like It Hot (1959). The Wilder film—which has streamed only since January—should be familiar to even casual classic-movie (or Marilyn Monroe) fans, but the lesser-known Sturges flick remains an essential entry among screwball comedies of the 1930s and '40s. In fact, the genre was all but played out by 1940, until the man who cut his teeth as a screenwriter in the previous decade convinced a wary studio to let him direct, giving him the chance to take his unique mix of verbal wit and physical comedy to dizzying heights. In the next four years, Sturges wrote and directed eight movies, at least four of which—The Lady Eve, Sullivan's Travels, The Palm Beach Story, and The Miracle of Morgan's Creek—are considered among the smartest and funniest comedies of the classic era (a claim just as easily made for Hail the Conquering Hero and Christmas in July, two of my own favorites). 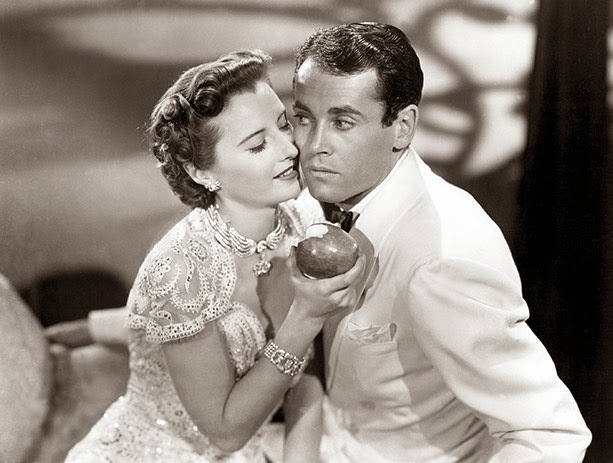 The Lady Eve, starring an unlikely Henry Fonda, an enchantingly sly Barbara Stanwyck, and the always reliable (and funny) William Demarest, definitely lives up to its reputation. It's long been the sole representative of Sturges' output on Netflix, and I'll be sad to see it go (even if I do own it—along with most of his other films—on DVD). Owing a clear debt to Sturges, at least early in his career, is writer-director Ron Shelton, who also cut his teeth as a screenwriter (including the very Sturges-like The Best of Times) before moving into the director's chair with 1988's Bull Durham. 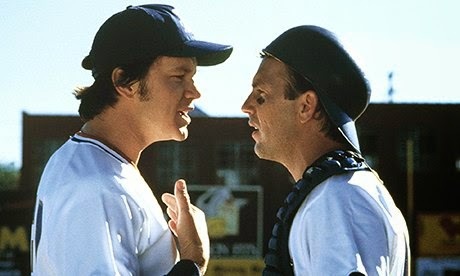 Considered one of the best baseball movies ever made, it also happens to be one of the great romantic comedies. But aside from the iconic performances of Kevin Costner, Tim Robbins, Susan Sarandon, and a crackling supporting cast, the film's fully realized characters and world are what set it apart—not to mention Costner's juicy, eminently quotable, "I Believe" speech. 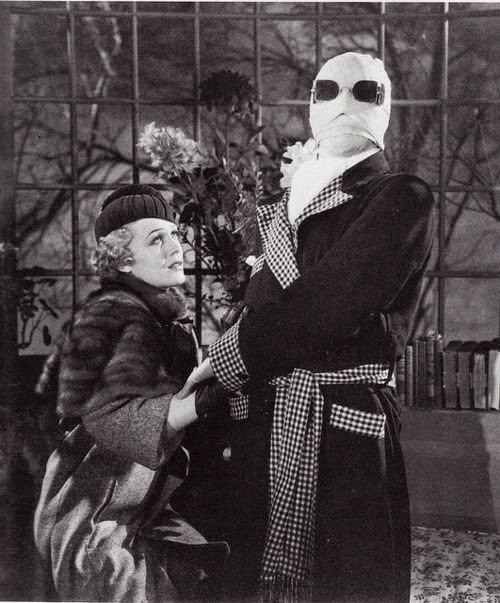 Other departing classics, Horror category: The Invisible Man, The Mummy's Hand, and The Mummy's Curse—which continues the gradual dismantling of Netflix's Universal Monsters catalog, begun at the end of January. Speaking of January, yet another film that arrived then is also already on the chopping block: West Side Story, which expires on May 1 (one day later than all the others). It's a shame to see yet more examples of movie history getting the heave-ho. 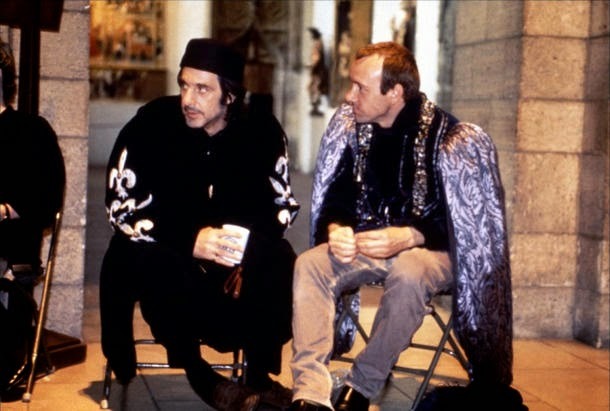 Meanwhile, this month's expiring sleeper is Al Pacino's Looking for Richard, a highly entertaining 1996 documentary directed by and starring Ol' Al, who took it upon himself to explore the many facets of arguably Shakespeare's most difficult play, Richard III. Determined to understand the text and make it—and by extension, Shakespeare—more accessible to modern audiences, Pacino and his willing troupe of cohorts (which include Alec Baldwin, Kevin Spacey, Penelope Allen, and Winona Ryder, among many others) alternately discuss, rehearse, and perform scenes from Richard. Pacino also takes his camera to the streets, quizzing passersby on their thoughts on The Bard, then traveling as far as The Globe, in England, to genuflect at the play's geographic source. Interviews with renowned Shakespearean interpreters such as John Gielgud, Vanessa Redgrave, and Kenneth Branagh investigate iambic pentameter and the difficulties American actors traditionally have performing Shakespeare versus their British counterparts, while experts on Elizabethan history give context to the play's characters and events. The film bounces around from one location (and time) to the next, its sprightly pace, energy, and humor in step with the child-like pleasure Pacino obviously takes in his craft. In the end, Looking for Richard turns out to be a revealing look into not only Shakespeare's text, but into the actor's process (especially the one at its center). And in his impressive stagings of the play's key scenes, Pacino achieves his goal of making Richard III accessible while making a persuasive case for American actors in Shakespearean roles, almost all of whom acquit themselves admirably.